It was a busy one. With Little Buddy having two-a-day rehearsal on Saturday and Hubby not getting back in from his business trip until 7:30 that morning, I was running. That and I really hate putting in zippers and hemming, so my dress was finished around 8:45 a.m. But I made it. I got Little Buddy to both rehearsals, did my nails and packed my overnight bag. I also picked up my little sister from the transit station as she was the babysitter. I did have to order dinner, because I forgot to take something out to prepare, but everyone is still alive, so no problems there. 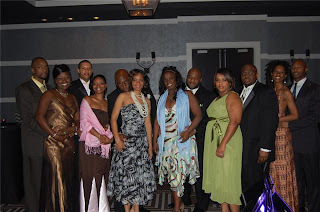 Behold pictures from the Mocha Moms Black Marriage Gala 2009. Behold the infamous dress. The topstitching was done in pink as a contrast and to bring the pink in the godets more into the composition. My fabulous husband and I. Doesn't he look handsome. 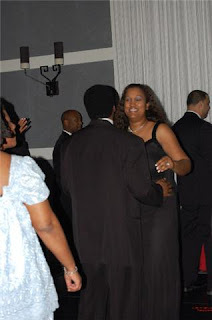 ""It is important for us to recognize that we have been blessed with the beauty of marriage and to promote its benefits for ourselves and our children, particularly in the black community," says Dee Dee Jackson, national president of Mocha Moms, Inc.
National President Dee Dee Jackson and her husband cutting a rug. 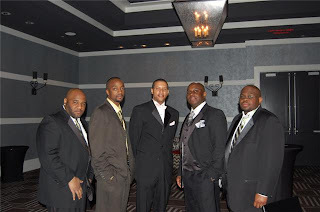 Some of the Mocha husbands. 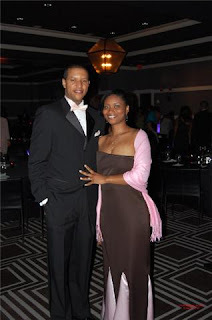 Black Marriage Day was started in 2002 by the Wedded Bliss Foundation, a national non-profit organization that serves families and community groups, promoting healthy relationships and healthy marriages. Last year, Black Marriage Day was celebrated in the black community in more than 250 cities across the U.S. Its goal is to highlight the benefits of marriage, pay tribute to successful marriages and promote marriage in the black community. "We are thrilled to continue the tradition of honoring Black Marriage Day," says Jackson. 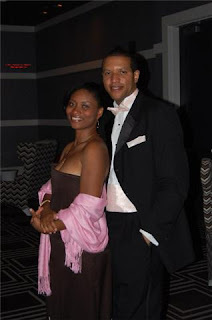 "Black marriages are not only alive, but flourishing." 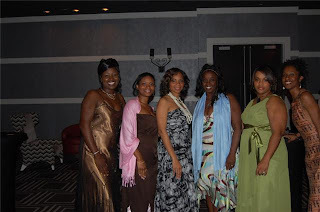 The mission and purpose of Mocha Moms, Inc. is to support and encourage women of color who are making parenting a priority in this season in their lives. Its platform includes strengthening marriages and families, promoting self-care, strong educational foundations and volunteerism. Today, the fast growing national, non-profit organization has more than 100 chapters in 27 states throughout the country. Mocha Moms, Inc. welcomes people of all genders, religions, races, educational backgrounds, and income levels. Anyone who supports the mission of Mocha Moms, Inc. is welcome to join. 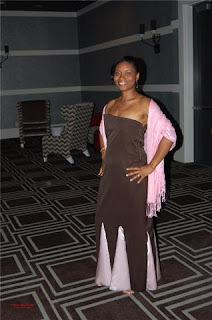 Mocha Moms, Inc. has been featured on NBC Nightly News with Brian Williams, ABC's Nightline, Good Morning America and The Oprah Winfrey Show, as well as in The New York Times, The Washington Post, The Los Angeles Times, Essence, Ebony and JET." I love your dress. You did a wonderful job on it. I looks like everyone had fun. It is always nice to go on a date without the kids. That's some fancy sewing! Making it yourself not only saved you a good bit of cash, but I bet you felt rather proud of yourself swishing around on the dance floor looking so elegant. I'm glad you and your husband got to have a fun night out. Lovely! Your dress turned out great, you look beautiful! Looks like a wonder event. Go Shanta!! The pictures are fantastic. Great job on the dress!! !